Violist Deanna Badizadegan enjoys a diverse career as a soloist and chamber musician, including recent performances with Sejong Soloists, the East Coast Chamber Orchestra, and at TEDxStanford and TEDxFargo. Britton Day is a graduate of the Oberlin Conservatory of Music. He received his Master&#039;s degree as well as a Professional Studies Diploma in Piano Performance from the San Francisco Conservatory. Violist Deanna Badizadegan enjoys a diverse career as a soloist and chamber musician, including recent performances with Sejong Soloists, the East Coast Chamber Orchestra, and at TEDxStanford and TEDxFargo. She currently studies with Kim Kashkashian at the New England Conservatory, where she is pursuing a Graduate Diploma in Viola Performance, and also holds a Professional Studies Diploma from the San Francisco Conservatory of Music. She received her B.S. in Organizational Design &amp; Engineering and her M.S. in Management Science &amp; Engineering from Stanford University, where she was also a Mayfield Fellow. In addition to performing, Deanna enjoys working with the 21st Century Musician Initiative to bring more entrepreneurial ideas into the arts. Britton Day is a graduate of the Oberlin Conservatory of Music. He received his Master&#039;s degree as well as a Professional Studies Diploma in Piano Performance from the San Francisco Conservatory. Currently a member of the accompanying staff at the SF Conservatory, he performs regularly in venues around the SF Bay Area. 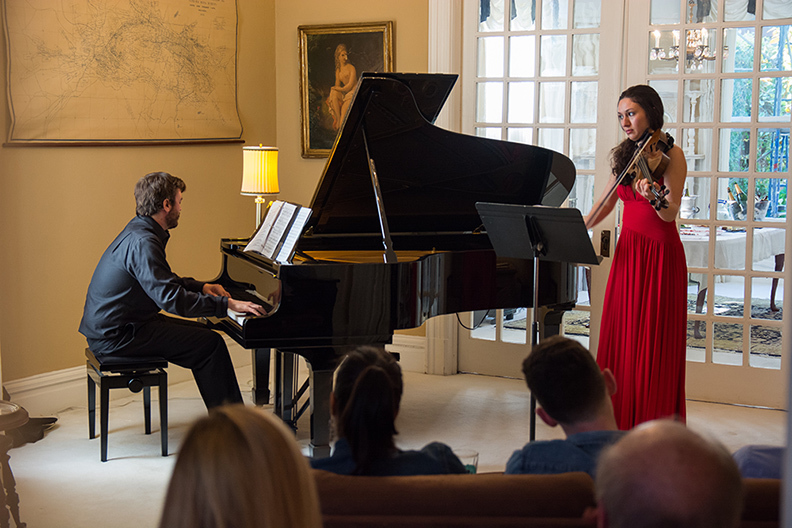 Recent appearances include performing with members of the San Francisco Symphony on their Chamber Music Series in Davies Symphony Hall, the Berkeley Hillside Club chamber series, the Eastern Sierra Symphony summer festival. Most recently, Britt was featured on the Soundbox series of the SFSymphony, playing with his father, flutist Timothy Day and Michael Tilson Thomas. Britt has worked as a rehearsal pianist for the San Francisco Ballet company, and he can be found most weekday mornings, playing piano for future ballerinas at Miss Tilly’s Ballet School in the Outer Richmond.